Spring is in the air, and we are approaching the end of the school year! Whatever the season, the Shaker Schools Foundation appreciates ongoing support from our donors, whether you give to the Annual Fund, purchase a street sign, participate in the Shaker 100 Challenge, make another gift, support A Night for the Red & White, or donate to the Innovation Fund. You make our work possible. Thank you! The Shaker Schools community lost a beloved member on March 6, when Bob “Doc” Schneider died as a consequence of a horrific car accident this past August. 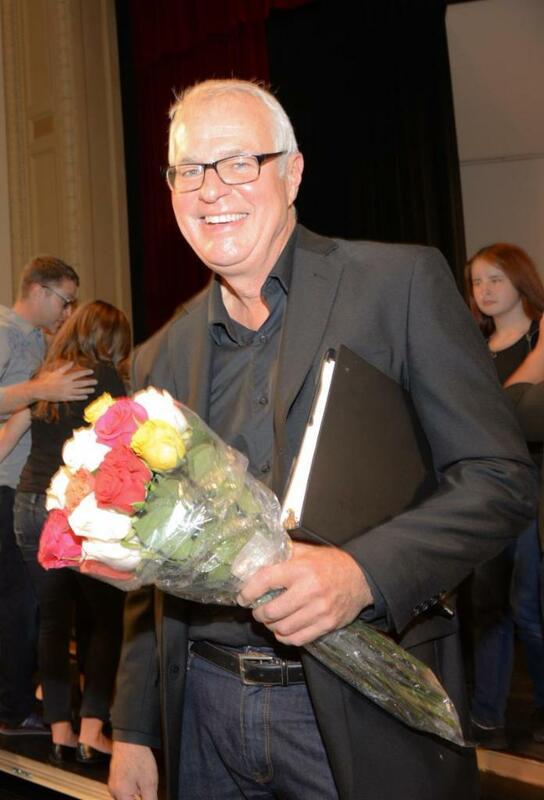 Dr. Robert Schneider began his distinguished career in Shaker’s music department in 1989 at Shaker Middle School, moved to the High School full time in 1999, and retired in 2015. He served as Director of Music and organist for First Baptist Church beginning in 1993, and was President of Arts Renaissance Tremont for many years. He earned his bachelor’s, master’s, and doctorate degrees in music from Baldwin Wallace College Conservatory of Music, Northwestern University, and the Cleveland Institute of Music, respectively. You can express your appreciation for Doc Schneider by making a donation to the Robert Schneider Choral Enrichment Fund. ﻿education, as well as a commitment to the Shaker Schools. Learn more about the Hall of Fame and nominate a Shaker alumni here . 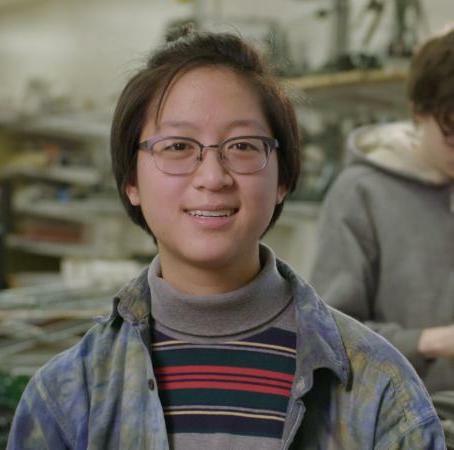 Jocelyn Ting is an aspiring engineer who wants to attend a liberal arts college. Until she took her ninth grade IB design class, she thought she might be a math major, though she also enjoyed problem solving and hands-on experiences. IB design translated her interests to engineering, but she had to wait until her senior year to take courses because they are all upper-level. So Jocelyn became active in the Engineering Club and – at the suggestion of Dr. Joe Marencik, science department chair – contacted the Shaker Schools Foundation. She asked for help in raising money to buy robotics materials for other Engineering Club participants who were too young to enroll in Shaker’s engineering classes. They even won a competition! Jocelyn returned the favor by speaking with the Foundation’s trustees and appearing in the Foundation’s video about the importance of the new Innovation Fund, which will help students like her discover the power of hands-on experiences from Pre-k through 12 th grades. Now a senior at Shaker Heights High School, Jocelyn dreams of changing the world by becoming involved in the field of clean energy. She will attend MIT this fall. 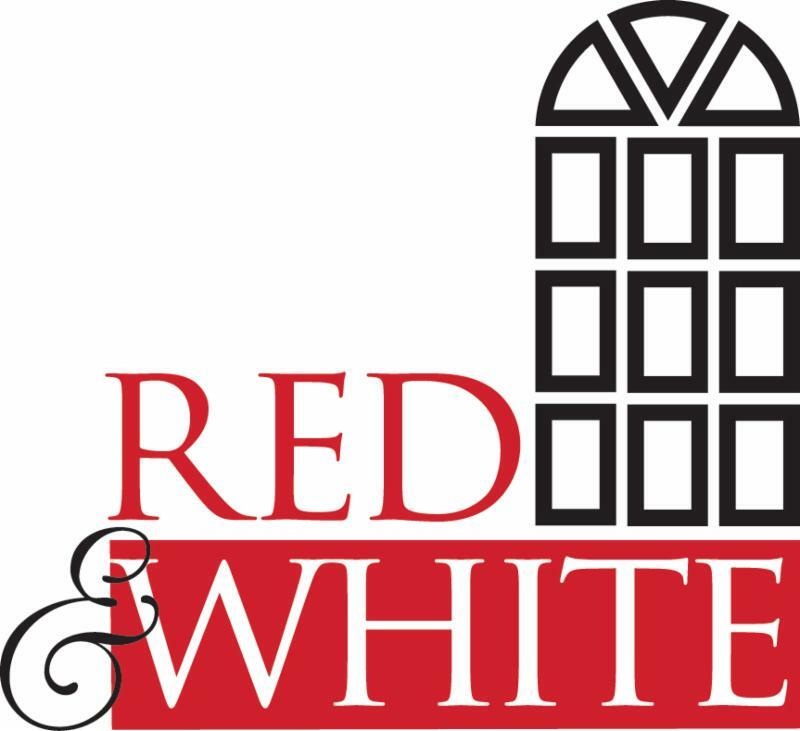 Many thanks to all who attended the 26th annual A Night for the Red & White ! A fabulous time was had by the 700 participants, who enjoyed dinner, dancing, and lively silent auction bidding. 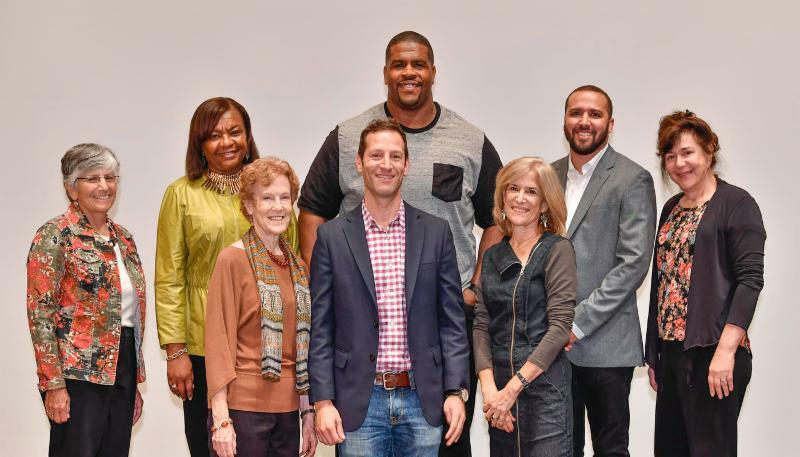 The event also introduced the Shaker Schools Foundation’s new Innovation Fund, which will help Shaker provide hands-on learning opportunities in science, technology, engineering, arts, and mathematics (STEAM). To learn more, please watch our brief video that features several Shaker students, teachers, and community members. With special gratitude to a generous Shaker family, all gifts to the Innovation Fund will be matched dollar-for-dollar up to $25,000! Our current total is $21,465, and your donation can help us reach that goal and support our amazing students and teachers. We also salute the many volunteers who worked tirelessly to ensure the success of this year’s Red & White under the dedicated and energetic leadership of Miki Graban, Megan Hanger, Tiffany Meagrow, and Jen Pethel. We are honored to be part of this robust learning community! 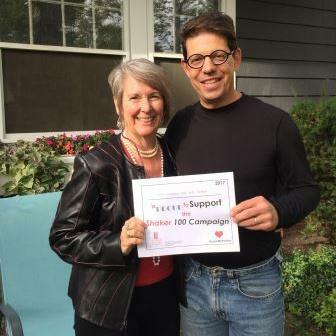 To honor 100 years of Shaker graduates, the Shaker Schools Foundation initiated the Shaker 100 Challenge to receive 100 donations of $100 each to achieve a goal of $10,000. To date, 73 donors have contributed $8,500! (Some liberally interpreted the definition of $100.) Thanks to our generous participants, we need only 15 additional gifts to reach our goal. Click to help bring the Challenge to completion. Thank you! The Shaker Schools Foundation extends congratulations to our accomplished students and faculty! • The Shaker Heights High School Bands competed at the Ohio Music Educators Association Large Group adjudicated event in March. All five bands received excellent or superior ratings, with the Wind Ensemble and Concert Ensemble each receiving a top rating of 1. • One hundred twenty-five Woodbury and Shaker Heights Middle School students represented 17 countries at the Ohio Leadership Institute’s Junior Ohio Model UN conference in March. • The work of seven Shaker Heights High School art students is on view in the Ohio Governor’s Youth Art Exhibition. This is the largest group of Shaker students ever selected for this honor. 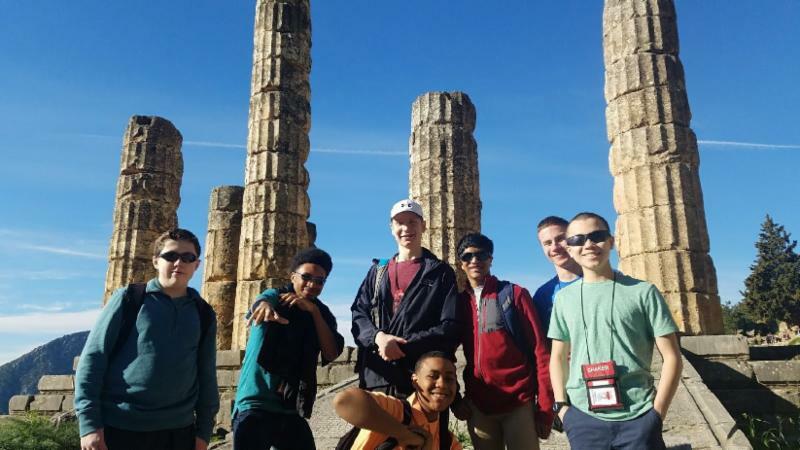 • Thirty-four Latin and Greek students in grades 8-12 and three teachers represented Shaker Heights Schools at the Ohio Junior Classical League Convention. Every student earned points in their contest/tests, helping Shaker to a third-place finish. • High School drawing student Noa Marcus received a Gold Medal, and senior portfolio student Sophia Geisler received a Silver Medal, in the National Scholastic Competition. • In early March, Shaker students competed and won recognition at the Regional National History Day in early March. Of the 97 high school and 21 middle school students who participated, 24 competed at the State Championship in April and several earned spots in the national competition. • In only its second year, the Shaker Heights Middle School Robotics Club had two teams qualify for the VEX IQ Robotics State Competition. • Junior Lyle Yost won the OHSAA Division I State Diving Championship for the second consecutive year! Since the winter issue, and with thanks to our donors, the Foundation has supported projects including: chamber music coaching for the Middle School orchestra; the purchase of uniforms for the wrestling team; journalist Jamil Smith’s presentations at the High School; tickets for the MAC Scholars to see the movie, Black Panther; subsidy of fees for five students to participate in the Orchestra’s and Chorus’s trip to Greece over spring break; and coaching for high school bands before the OMEA contest. • Express your appreciation of a special teacher (or teachers) through a contribution. 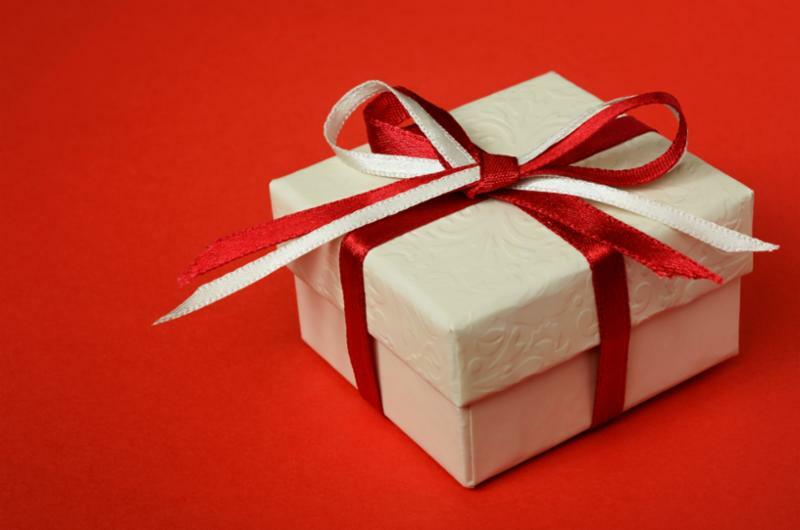 Unless you request otherwise, we will share your name (but not the amount of your gift) with the teacher(s). • Make a legacy gift to the endowment. Your bequest, trust, or other planned gift will help sustain the Foundation for the long term and ensure its ongoing service to Shaker’s students. We invite you to include the Foundation in your estate planning. • Endow a seat in Shaker Heights High School’s Large Auditorium, in honor of a special teacher, in your own name, or in the name of other family members, friends, or (if appropriate) your Shaker graduating class. Each endowed seat has its own nameplate, and one seat can be named for $500. • Participate in special projects that directly impact our students. These include international travel, the Learning Garden, and the Innovation Fund.